The Pokémon Company and Official Nintendo Magazine have teamed up to provide Pokémon fans with a free Mamoswine with the Thick Fat Ability, which you’re able to claim through the Pokemon Global Link website via the use of an exclusive password. 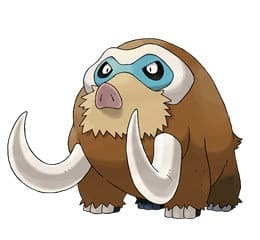 As an Ice/Ground Pokémon, Mamoswine is incredibly weak against Fire moves, yet with the special Thick Fat ability it is able to halve the damage that it takes from Fire-type attacks. You’ll be required to log into the Pokémon Global Link website, and to then enter the password MAMNintendoOfficial to add it to your collection. Mamoswine will be available to claim through Pokémon Global Link until January 19th.